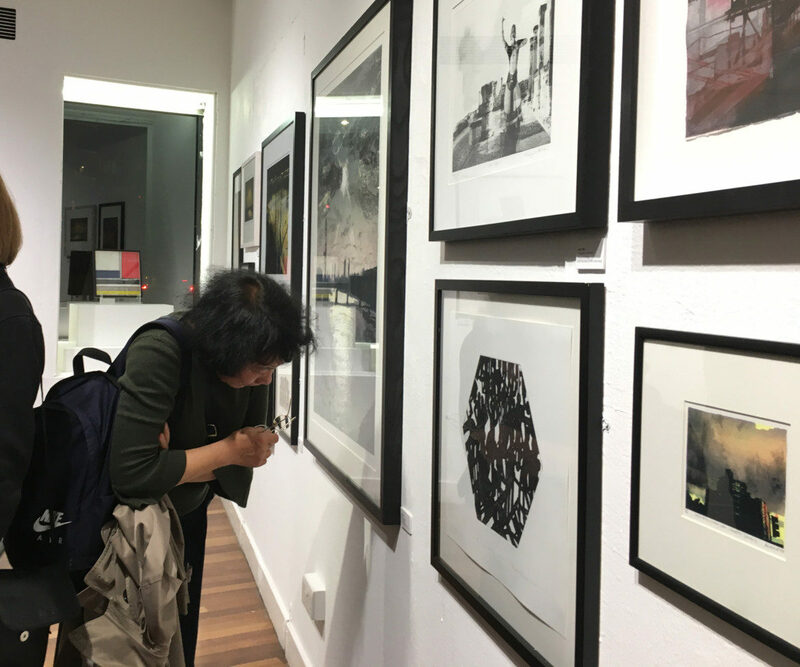 Our opening private view evening was a great success. 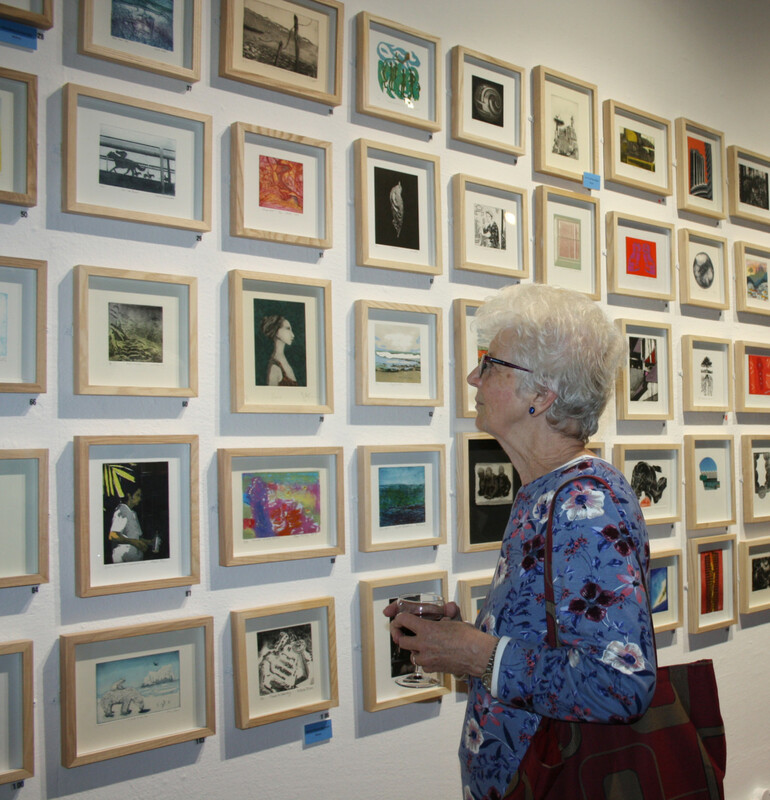 The event begun with prize winners announced, a variety of print sales made and lots of our members and their contacts admiring the huge number of over 170 artists prints on show in the impressive and spacious Morley Gallery. 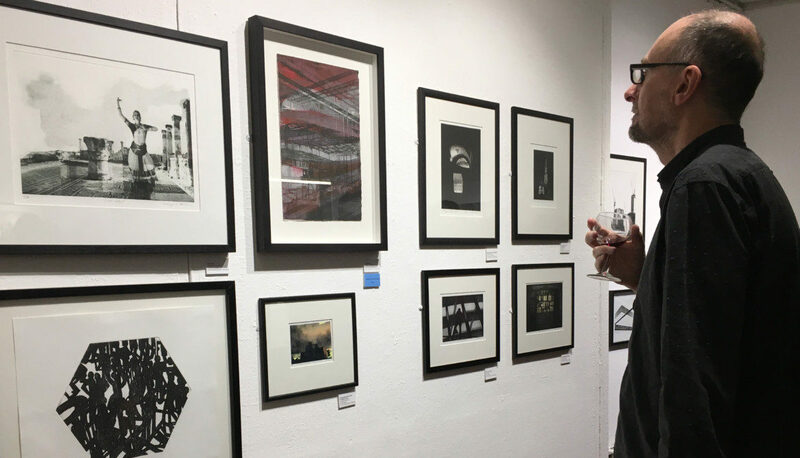 Wine flowed as did the positive comments and we hope that the general public will continue to enjoy this diverse and technically excellent collection of both two dimensional and three dimensional work, highlighting some of the best contemporary printmaking being made today. 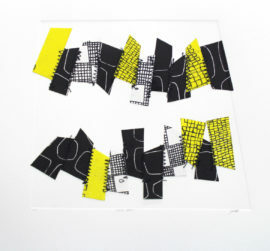 Printmakers Council Shows at Morley Gallery. 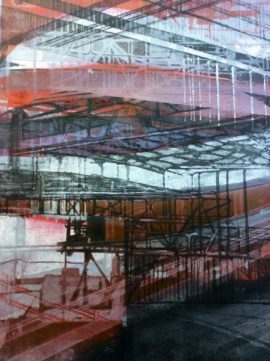 Never lacking in ambition, Printmakers Council organised two shows this November. 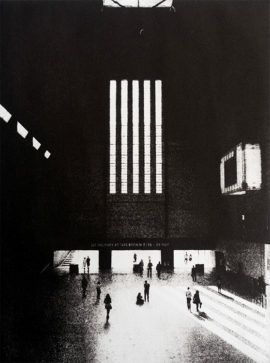 Both shows were held in the Morley Gallery in South London and were shown simultaneously. 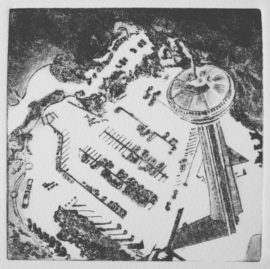 Print City had an urban theme while Mini Print had no theme but a rigorous paper size requirement as prints were to be displayed in new matching PMC frames. 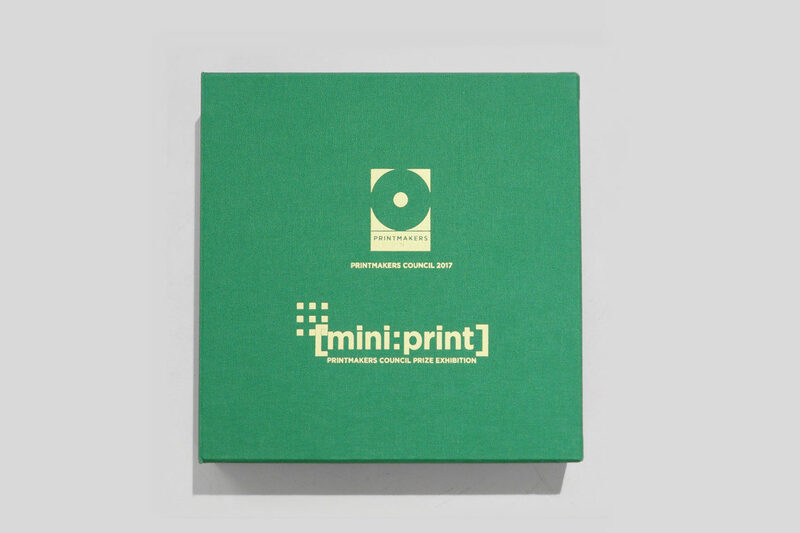 The edition size for the mini print was set at 10 with two sets going to the Victoria and Albert Museum to be held in their archive and word and image departments. The Morley Gallery was originally a victorian public house. The floors above hold the printmaking department of Morley College and their Head of Printmaking Michelle Avison was heard to comment on how efficiently the hanging team worked. 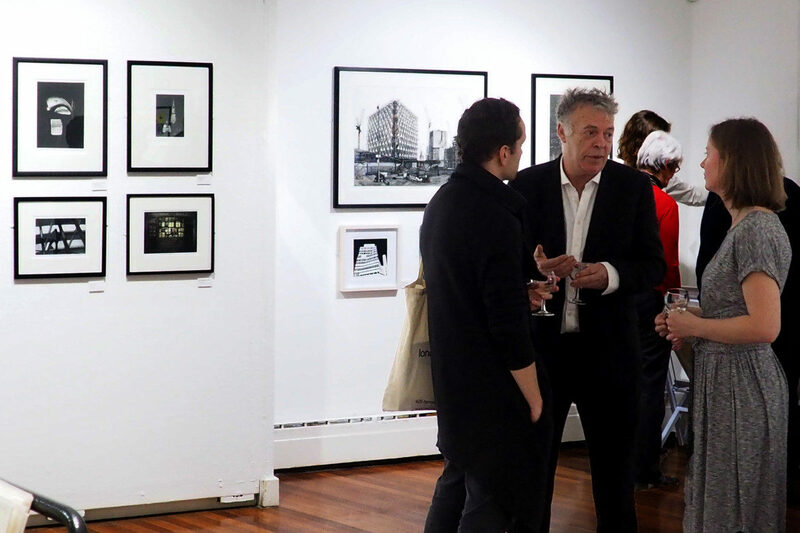 They had the tricky task of hanging both shows in a fairly small gallery space and succeeded brilliantly, hanging over 100 mini prints in serried ranks in the first section of the gallery; leaving the more open and well lit space to display the various two and three dimensional works of Print City. 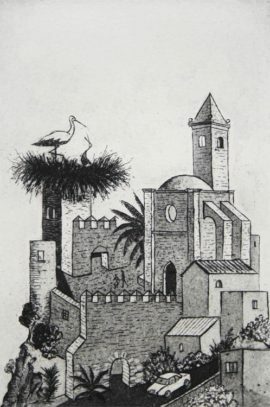 Somehow none of the works looked too tightly packed and the prints in the windows, facing the street, showed the variety of members’ interests and techniques. 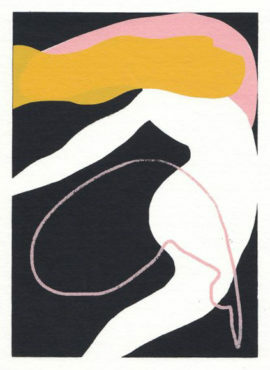 The standard of printmaking was very high which is reflected in the sale of at least 13 prints on the opening night. 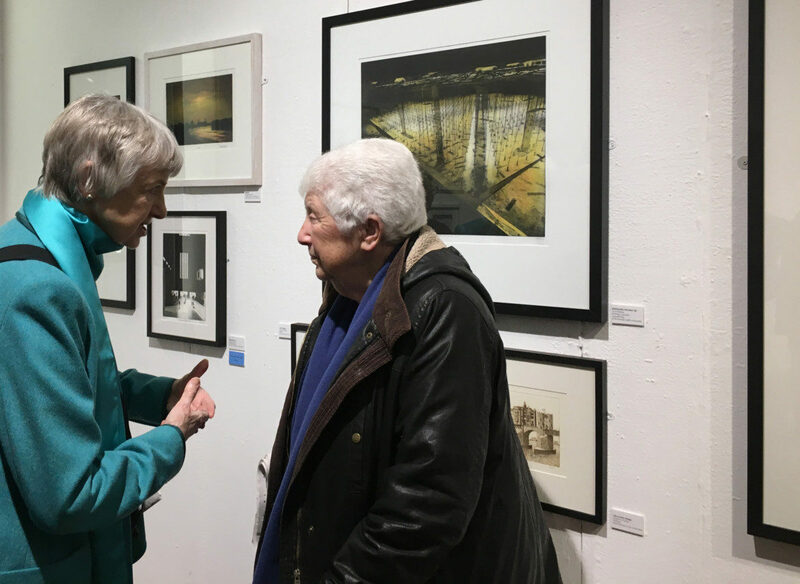 The private view was a lively affair and very well attended. 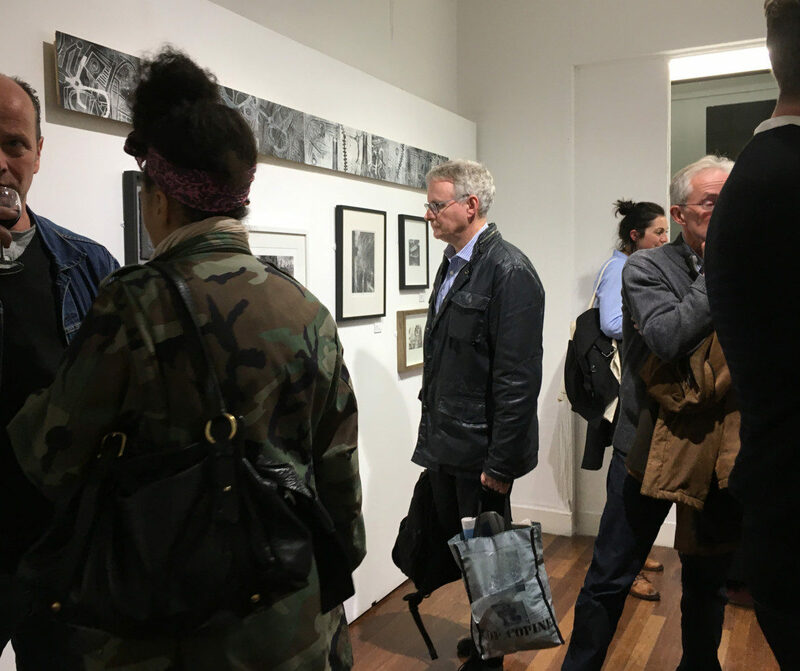 Guests included John Phillips, Director of London Print Studio, Gill Saunders from the V&A department of Word and Image and Leonie Bradley the editor of Printmaking Today magazine. The magazine will be doing a special feature about the Printmakers Council in their next edition. Prizes were awarded to: Victoria Johns by St Culbertson Mill, Graham Cooke by John Purcell Papers, Margaret Sellars by PMC and to Ewelina Skowronska by Printmaking Today. Margaret Ashman gave a gracious speech and orchestrated the prize giving, her last official duty before she stands down as chair. She will be very much missed.